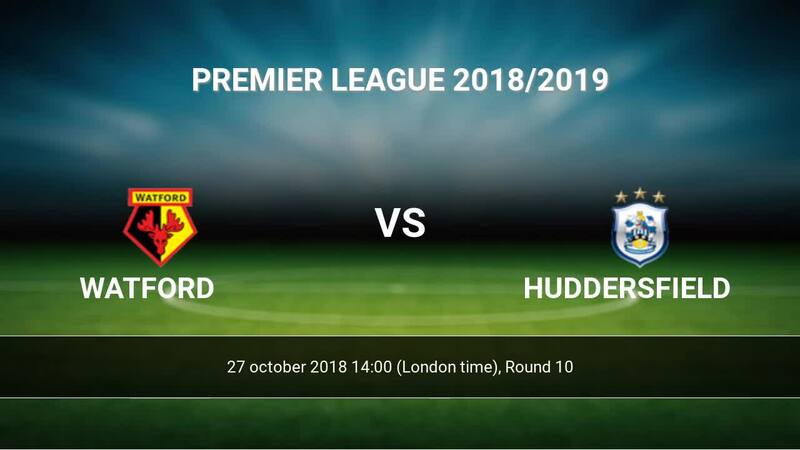 Match Watford-Huddersfield Premier League the fixture is set to kick-off today 14:00 on Vicarage Road Stadium. Refereee Mike Dean. Team Watford is located in the middle of the table. (7 place). Last 5 games (league + cup) finished balance 4 points. From 2 matches at home can't win a match. The best players Watford in Premier League, who scored the most goals for the club: Roberto Pereyra 4 goals, Andre Gray 3 goals, Troy Deeney 2 goals. Most goals developed: , Troy Deeney 1 assists. Injured players Watford: Daryl Janmaat, Sebastian Proedl, Tom Cleverley. Team Huddersfield is in the releagtion zone of the table. 19 position. Huddersfield in 5 last matches (league + cup) have collected1 points. Players Huddersfield in Premier League with the highest number of goals: Christopher Schindler 1 goals, Jon Gorenc-Stankovic 1 goals, Mathias Joergensen 1 goals. Injuries in the team Huddersfield: Tom Smith, Terence Kongolo, Daniel Williams. Direct matches: usually ended with winning of Huddersfield. 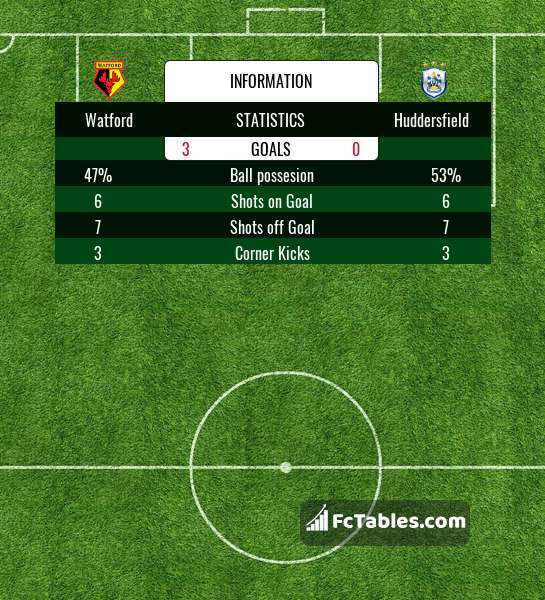 Balace of both teams games are: 5 won Watford, 5 wins Huddersfield, 0 draws. In 9 matches the sum of the goals both teams was greater than 2.5 (Over 2.5). On the other hand, 9 matches teams scored more than 1.5 goals (Over 1.5). In 8 matches the both teams have shot at least one goal.